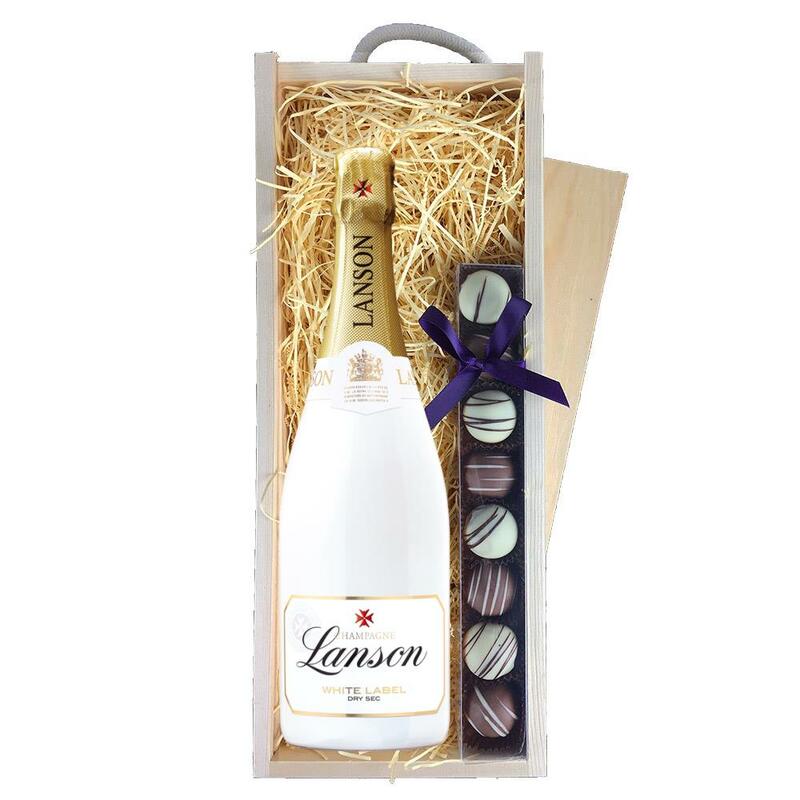 A single bottle of Lanson White Label NV 75cl 75cl and a single strip of fine Hand Made Heart Truffles(100g) Presented in a wooden gift box with sliding lid and lined with wood wool with a Gift Card for your personal message. 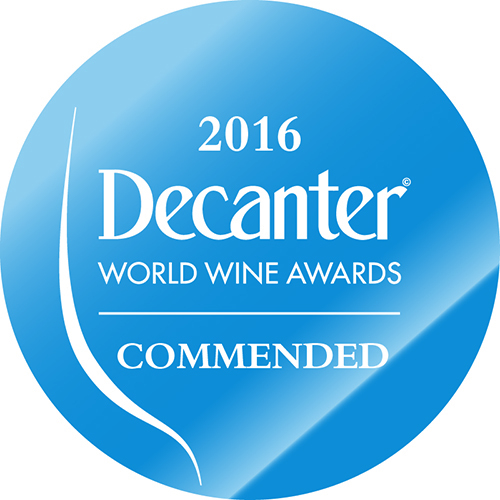 Lanson White Label NV 75cl - An intensely new drinking concept with new aromatic experiences that are infinitely adaptable. 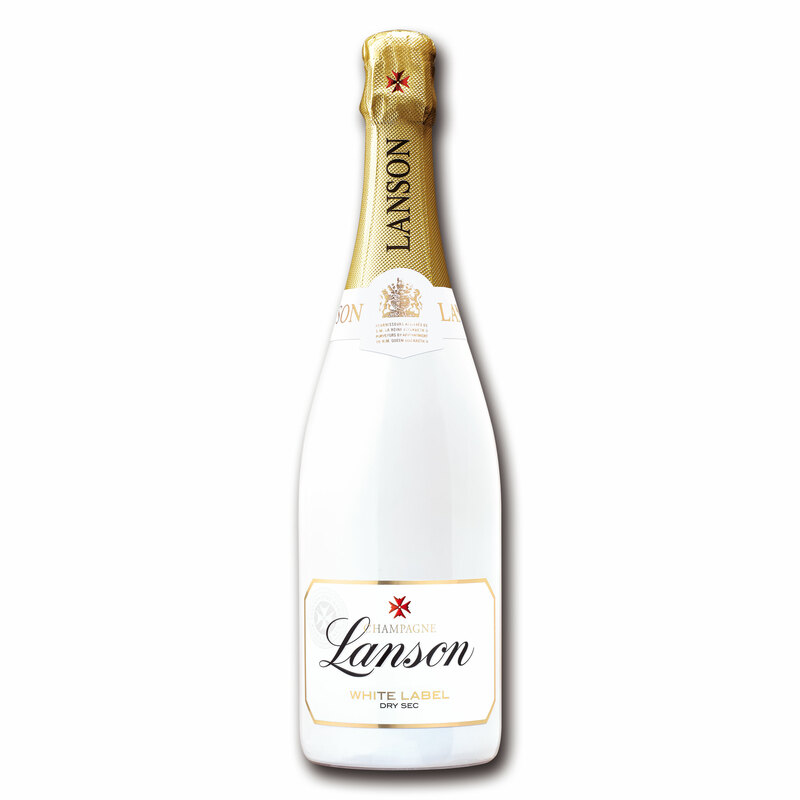 Specially created by the House of Lanson, Lanson White Label allows you to appreciate the subtlety of champagne combined with all sorts of natural aromas. This product is hand packed onsite by Gifts International, and is not affiliated with any other brand. Gifts International is responsible for this product combination/set.